How long does it take to get a visa for Vietnam? How much does a Vietnamese visa cost? Where can I apply for a visa for Vietnam? At the moment, citizens of 23 countries with an ordinary passport can benefit from a 14 to 30-day visa exemption for tourism purposes. In the case of the United Kingdom, you can travel to Vietnam for 15 days without needing to apply for a visa. Citizens of US, Canada or Australia should apply for a Visa. Hold a passport from one of the 23 exempt countries: You can click here to see the official list from the Ministry of Foreign Relations (remember that your country has to be marked with an X in the Ordinary column). Have a ticket out of the country: To get the exemption, you need to show the printed ticket for departing the country. Not have been in Vietnam for 30 days: To obtain the exemption, they will check that you haven’t visited the country during the 30 days prior to your entry into the country. Have a passport with 6 months’ validity: To obtain the exemption, your passport must be valid for at least the 6 months following your entry into the country as well as must have at least 2 empty pages. Important: For British, German, French, Spanish and Italian citizens traveling to Vietnam for a time period of less than 15 days, the visa exemption is valid until June 30, 2019. There is still not any confirmation of the exemption following this period. Important: Exemption rules, and visa rules in general, may change at any time, thus we always recommend to confirm the information you find online with the Vietnamese Consular Office in your country. 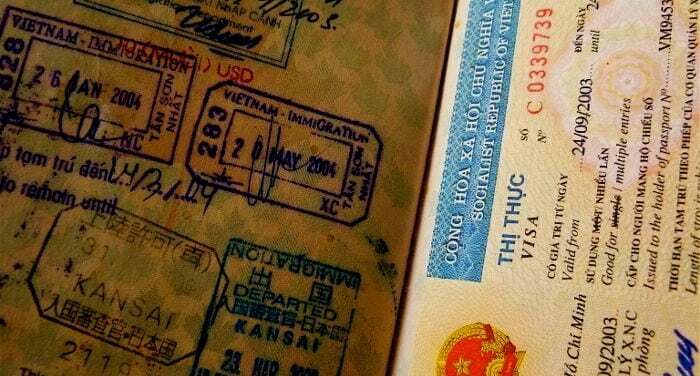 Hold a passport with 6 months’ validity: To enter Phú Quốc, you will be required to show a passport of any nationality that is valid for at least 6 months following your entry into the country and which has at least 2 empty pages. Fly directly to the island from another country: To enter Phú Quốc without a visa, you will have to do it from an airport in another country. It’s also possible to arrive from Ho Chi Minh or Hanoi airports, but you will have to pass through immigration at those airports before heading to the domestic flights terminal. Stay on Phú Quốc for less than 30 days: When you enter Phú Quốc, you will have to present your ticket leaving the island, the date of which must be within the 30 days following your entry. If you have a layover at one of the international airports in Vietnam, you won’t need a visa as long as you don’t remain in the country for more than 24 hours and don’t leave the international zone of the airport. Important: Vietnamese government diplomatic missions have alerts on the proliferation of multiple illegal websites, many of which pretend to be official and offer electronic visas and visas on arrival. The visas offered by these portals are often illegal and their validity isn’t guaranteed. Since February 2017, a pilot project for an electronic tourist visa for Vietnam has been set in motion (Decree 07/2017/ND-CP). The visa is valid for 30 days and only allows a single entry. Hold a passport with at least 6 months’ validity. You can apply for this visa on the websites http://www.xuatnhapcanh.gov.vn, http://www.immigration.gov.vn or simply use a trustworthy visa agency, such as VisaHQ, which will help you throughout the process. As we highlighted in the previous section, there exist multiple websites that offer visas on arrival or VOA. Nonetheless, according to the statements of official sources, these visas can be illegal and because of this, we recommend that you be cautious before applying for this type of visa. You are entering Vietnam to participate in emergency response activities, search activities, rescue activities, disaster or epidemic response activities or for other special purposes at the request of a competent Vietnamese authority. To fill out the application form and submit it along with your passport. This visa is issued to people who intend to visit Vietnam for tourism purposes and has a maximum validity of 3 months, either with a single entry or multiple entries. This visa is issued to people traveling to Vietnam to study or carry out an internship. The duration of this visa is up to one year. For people going to Vietnam for business, there are different types of visas depending on the type of organization or company that you are going to work with. LV1 and LV2 Visas: These are if you are going to work with governmental organizations. Their maximum validity is one year. DN Visa: This visa is if you are going to work with a non-governmental Vietnamese company. Its maximum validity is one year. DT Visa: This type of visa is for investors or lawyers operating in Vietnam and its duration is up to a maximum of five years. This visa is issued to foreigners that are traveling to Vietnam to work. Its maximum duration is two years. VR Visa: This visa is issued for visiting family members who live in Vietnam. Its maximum duration is 6 months. TT Visa: This visa is issued for family members who are dependent on a foreigner who is a Vietnamese resident (who has a LV1, LV2, ĐT, NN1, NN2, DH, PV1 or LĐ Visa). “Dependent family members” refers to spouses and children under the age of 18. The duration of this visa is a maximum of one year. Form filled out electronically: To fill out the form, you have to go to this webpage. Alternatively, you can fill out and print the PDF form that different embassies and consulates offer on their webpage and add a photo to it. Passport: Your passport must be valid for at least one month following than the validity of the visa for which you are applying, and preferably 6 months longer. Letter of invitation: Except for tourist visas, you require an official letter of invitation issued by the Department of Immigration (Ministry of Public Safety), the Consular Department or the Department of Foreign Relations of Ho Chi Minh City (Ministry of Foreign Relations). The requirements for obtaining this letter depend on the type of visa and the organization inviting you to the country. Plane ticket (tourist visas only): If you are applying for a tourist visa for more than three months, you will be asked for your plane ticket booking out of Vietnam. Theoretically, to get a visa, it takes 3 business days from the time of the receipt of valid documentation. Even so, the majority of diplomatic missions take 5 business days. In the case of NG1 and NG2 visas, it only takes one day. It is also possible to apply for the express service (additional costs will apply), which tends to process the visa in 1 or 2 business days. Based on the previously mentioned online methods, a Vietnamese visa can be obtained at any embassy or consulate outside the country. To find your closest Vietnamese diplomatic mission, you can click on the links below for a complete list: Asia-Pacific, Europa, America, the Middle East. Note: The majority of embassies also allow you to apply for a visa through mail and even through email. Check out the website of the embassy corresponding to your place of residence for more details. How can I get a visa extension? Important notice: Currently, the department of immigration is not offering the possibility of extending tourist visas, which means that if you intend to extend your tourist visa, you will have to leave the country and apply for new visa. In the case of other types of visas in which an organization or company has invited you to the country, you can easily extend your visa with an official letter from the organization sponsoring you justifying the visa extension. 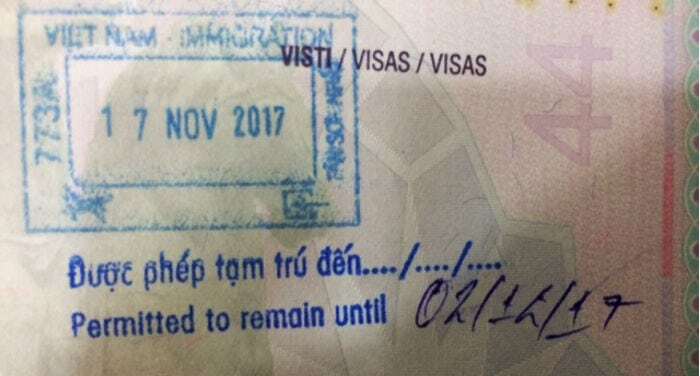 If you remain in Vietnam for more days than those stated on your visa, at a minimum you will be fined for every day that you have exceeded your stay in the country, although this may also result in more serious problems, such as deportation and being banned from entering the country for a few years. If you have just overstayed 1 or 2 days extra, you can go directly to the airport and pay the fine there. If you have exceeded this time period, you will have to apply for an exit visa at the Department of Immigration.